Great 88 Video Slot : Lucky Boxes Bring Instant Wins, Free-Spins, Bonus Wheel Spin and More! Great 88 is a Betsoft video slot that offers luck and wins by way of Chinese symbols that land as matched grouping in any of 30 active paylines. Images of Dragon and Tiger Dance costumes, of a Jade Frog, of Chinese Good Luck symbols, objects, and characters, are likely to bring good vibes and excellent wins! 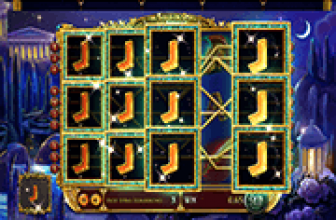 Two (2) special symbols boost Great 88 slot players' chances of getting the most from the money staked as bet on each spin. One is the Firecracker Wild that explodes to signal payline win/s were created by way of Wild substitution action. The other special symbol to anticipate is the Lucky Box, a Scatter Symbol that has potential to bring forth different Bonus Rewards. Images of Firecrackers ready to explode once it succeeds in completing winning combinations pose as Wild Symbols. The Firecracker Wild can also form its own winning payline combinations as it emerges in any row or reel. The Great 88 title is best depicted by the Wild payouts. The symbol awards 88, 888, or up to 8888 coin credits on every 3, 4, or 5 winning Wild combinations. Still, just like regular payline wins, only the highest number of matched symbols per line earns rewards. Top Symbols, namely the Dragon or the Tiger Dance Costumes will be revealed as readily available identical symbols by each of the three Lucky Boxes. If the spin outcome that produced the Lucky Boxes already has Dragon or Tiger icons in position, the images revealed increase the likelihood of hitting top-paying Dragon or Tiger wins! Instant Wins equivalent to as much as 3x up to 15x the Total Bet staked on the triggering spin may be awarded, if the Lucky Boxes reveal 1 or 2 Bronze Coins. Firecracker Wilds revealed by the Lucky Boxes will initiate an explosive Firecracker Wild expansion action. One or two of the symbols positioned next to Firecracker Wilds will become additional Wild Symbols. The abundance of Wild Symbols may result to a blast of massive and/or multiple wins! The Great 88 Free-Spins round will be activated if the Lucky Boxes reveal images of 1, 3, or 5 Jade Coins. 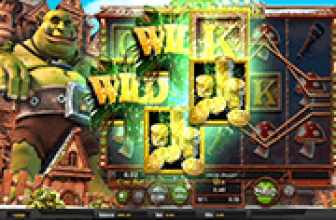 The numbers of free-spins awarded are random, anywhere between three (3) up to twenty-five (25) bet-free spins. 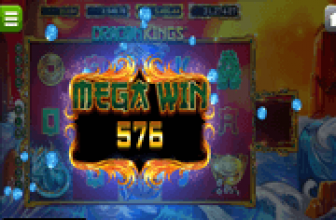 • The smallest Mega Wheel Prize Wedge represents the Giant Mega Win, which is the Major Jackpot equivalent to as much as 6000x the Total Bet. Great 88 video slot by Betsoft offers opportunities of winning exceptional bonus rewards beyond the conventional free-spins round. The game features Lucky Boxes that reveal random minor rewards including a Bonus Wheel spin that could lead to a chance to win any of three Mega Wheel Jackpots ranging from 100x, 750, and 6000x the Total Bet.